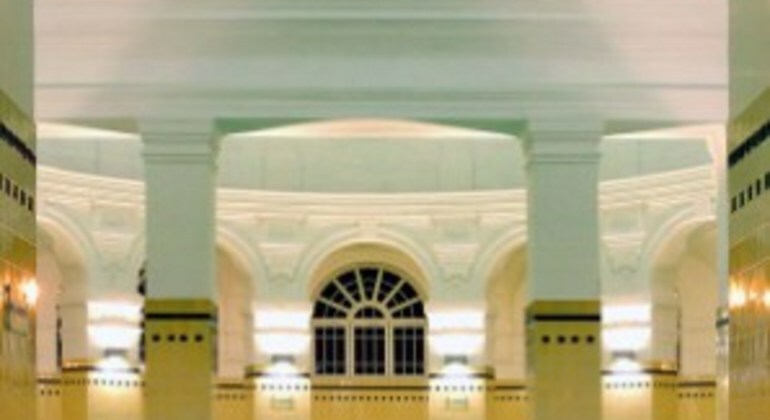 In 1927 the bath complex was expanded to its current size and now features 3 outdoors pools and 15 indoor. After its expansion, a new well had to be drilled to fulfil its thermal water demands. In 1938 a new spring was found, boasting a depth of 1256 meters(approximately 4120 feet) and a temperature of 77 degrees Celsius(170.6 Fahrenheit). It supplies around 6.000.000 litres on daily basis. During the Second World War the bath got damaged and wasn’t reconstructed fully until in 1952, when the daily hospital service opened it up for people who benefited from its healing properties. In 1999 the reconstruction of the swimming pool section was finished with proper water filtering and circulation devices. The bath includes a whirling corridor, underwater effervescence system, neck shower, water beam back massage in the sitting banks and many other comfortable features. 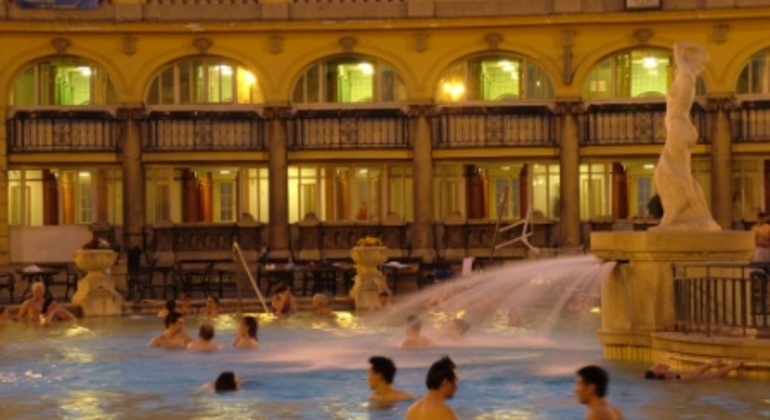 It’s one of the most visited baths in Budapest and attracts people all ages. 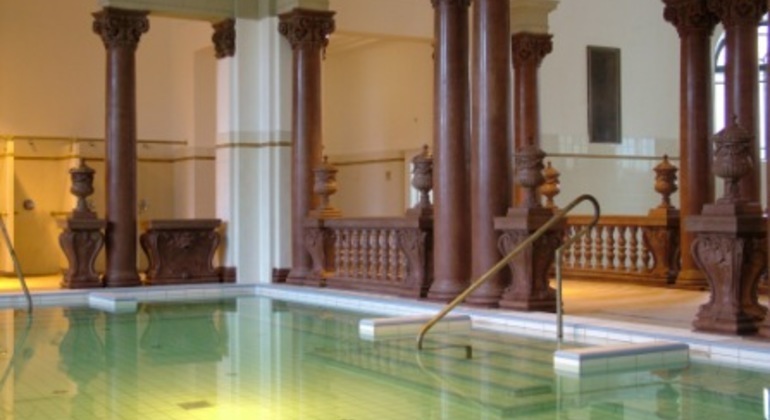 Opening time of the Spa is from 8:00 AM until 22:00 PM, every day of the week. Opening time of our private Help Desk is from 9:00 AM until 6:00 PM. 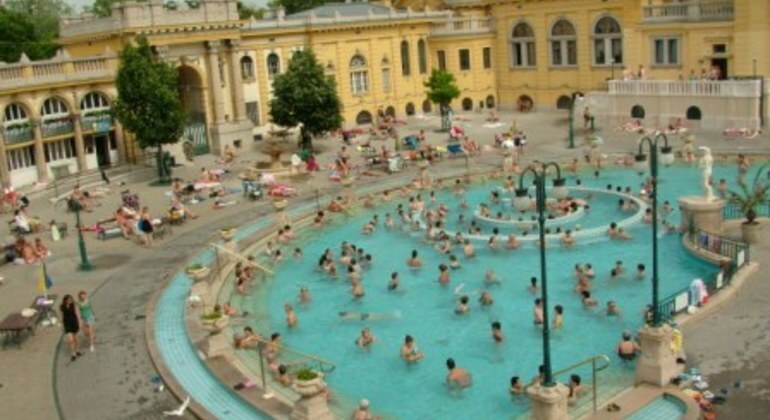 The bath is located in the City park, opposite of the City Circus and it can be reached by subway line No. 1 (station of the same name: Széchenyi fürdő).